People who suffer traumatic injuries face a “life-threatening” risk for blood clots, but inferior vena cava (IVC) filters don’t give them a survival benefit, according to a new study. IVC filters are metal devices inserted into the vein of a person at risk for pulmonary embolisms – blood clots that can block the lungs. Experts estimate pulmonary embolisms are the third-highest cause of death in trauma patients who survive more than 24 hours after a traumatic injury. The filters are supposed to block the blood clot from reaching the lungs, but reports linked some IVC filters to high perforation rates. 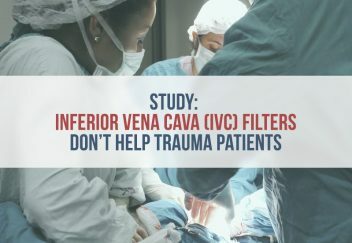 That may be why the researchers of an October study published in the Annals of Surgery examined patients receiving IVC filters after traumatic events. Trauma patients are receiving the devices at increasing rates despite a lack of proof that the devices help, according to the researchers. They analyzed 803 patients who received an IVC filter after a traumatic event between 2010 and 2014. The results of the analysis were surprising. 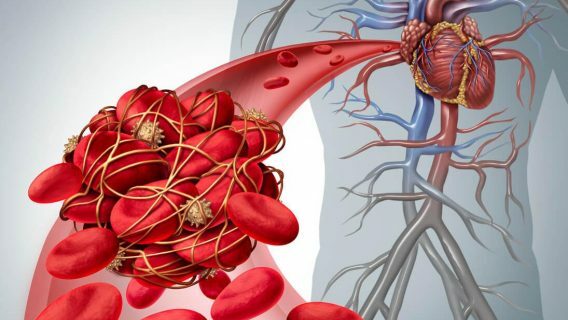 Not only did the patients with IVC filters fail to receive a survival benefit, they also suffered deep-vein thrombosis events at an increased rate. Deep vein thrombosis refers to a blood clot formed deep in the body, usually in the legs. “High rates of (preventative) IVC filter placement have no effect on reducing trauma patient mortality and are associated with an increase in DVT events,” the authors concluded. The recent findings build upon medical literature questioning whether the benefits of IVC filters outweigh the risks. 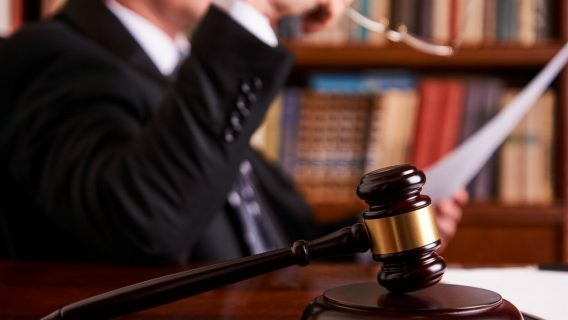 The same question is being asked in more than 200 lawsuits against IVC manufacturers claiming certain companies failed to warn of their products’ risks. The debate over the safety and efficacy of IVC filters in trauma patients spans decades. Most doctors agree the devices should only be used when anticoagulants (blood thinners) like warfarin or heparin aren’t an option. A 2010 review of the debate published in Seminars in Interventional Radiology outlined the findings of numerous studies dating back to 1973. One study found a reduction in pulmonary embolism risk, but no evidence of overall mortality improvement. Five studies found evidence of a reduction of pulmonary embolism risk, but not enough data to draw a “firm conclusion” on safety and efficacy. Three studies found no reduction in pulmonary embolism risk. Three studies found complications associated with IVC filters. The studies often identified complications involving deep vein thrombosis, and some theorized the filters were causing the increased risk of blood clots. The authors of the review called for clinical trials to produce evidence-based data. 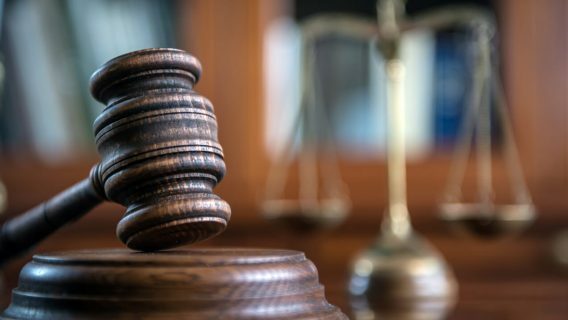 As reports of IVC filter failures grew, the devices made by two manufacturers stood out as more dangerous than the rest. Cook Medical’s Gunther Tulip and Celect filters migrated out of place in 40 percent of patients and perforated major blood vessels 43 percent of the time, according to two separate studies. Another study found C. R. Bard’s Recovery, G2 and G2 Express filters fractured at a rate of 12 percent. An NBC investigation also found Bard knew of IVC filter risks, forged a signature on an FDA application and ignored an internal whistleblower report. 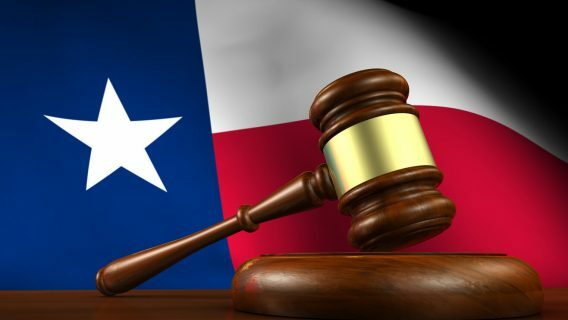 Federal courts consolidated lawsuits against the companies in order to more efficiently handle the growing number of lawsuits from people claiming the devices were faulty. A total of 156 lawsuits against Cook and 66 lawsuits against Bard are pending in federal courts.